Finding comfortable high-heel shoes can seem like an impossible task. We get it. Simply put, it's unnatural for your heels to be elevated multiple inches above your toes, and that's the exact position that the ever-popular shoe style forces your feet into. And as you're likely busy or on the go most of the time (aren't we all? ), chances are you need heels you can stand and walk in for extended periods of time. But luckily, you're in good hands. We're self-proclaimed shoe experts here at Who What Wear, and within our expertise is finding comfortable high heels. (Yes, they do exist.) Currently, retailers are stocked with fresh new arrivals of pretty heels for fall with comfortable characteristics like walkable block heels, sturdy ankle straps, kitten heels, and cushioned insoles. To get you started on your search for comfortable, pretty high heels, here are 22 pairs, starting at just $20. You can pretty much guarantee that they'll lead to tons of compliments. Can't decide on silver or gold shoes? With these, you don't have to. 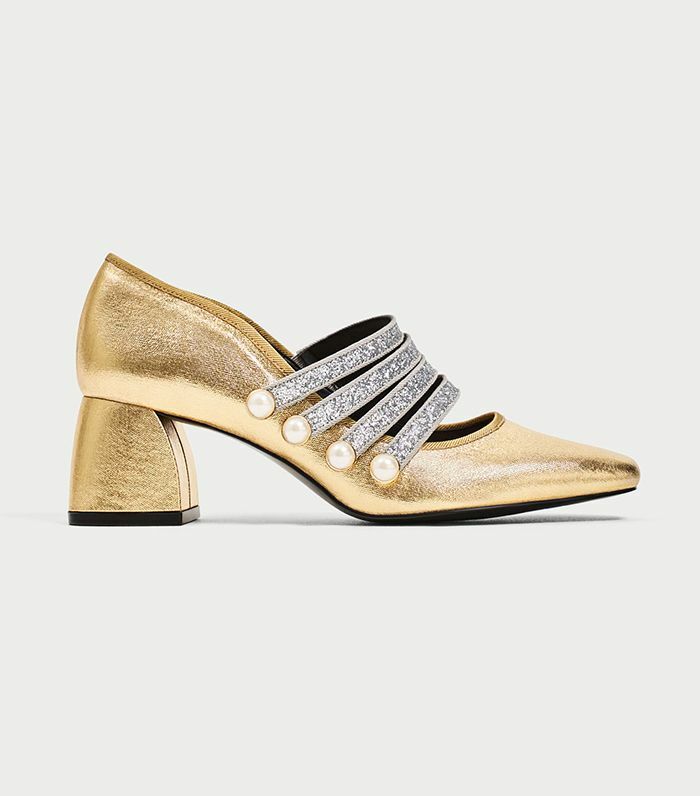 Prada is killing it in the shoe department as of late. Simply put, these grosgrain mules are perfection. Black and brown together? 100% yes. Everlane keeps selling out of these ultra-comfortable heels. We're very intrigued by this happy hue. Wear these with a pair of cool socks come fall. If only all heels were as cool as these. Want to dress up jeans and a tee? Slip on these ornate block heels. This editor can confirm from experience that these are really comfortable. Who doesn't love a rich fall print? These should probably be listed in the encyclopedia under "pretty heels." These are high, but they're more comfortable than they look thanks to the platform. We think pink fur is pretty, don't you? Dear Frances is our go-to for comfortable heels. The brand's description of these states: "Platform shoes that are as comfortable as they are pretty." There you have it. Rose-gold boots. Need we say more? Ladylike glittery pumps for $20 are too good to pass up. Stars, an ankle strap, and a low heel—what more could you ask for in comfortable, pretty shoes? This V-neck style is so flattering. Nothing says fall like a tartan block heel, right? Next up, read about nine pairs of high heels that shaped history.